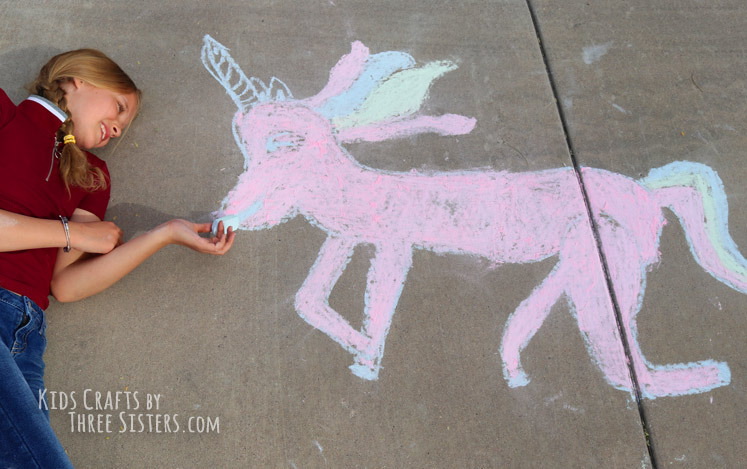 We love drawing especially with chalk, but somehow we always run out. To ensure that doesn't happen again, we're making sure we always have a stash. 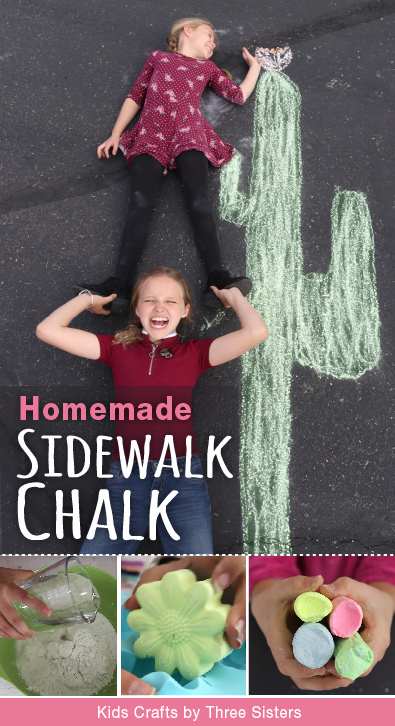 What better way to do that then to make our own homemade sidewalk chalk! 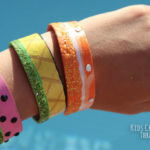 This summer craft is so much fun to make and super affordable too. Plus, we were able to use three different molds which gave us three totally different looks. 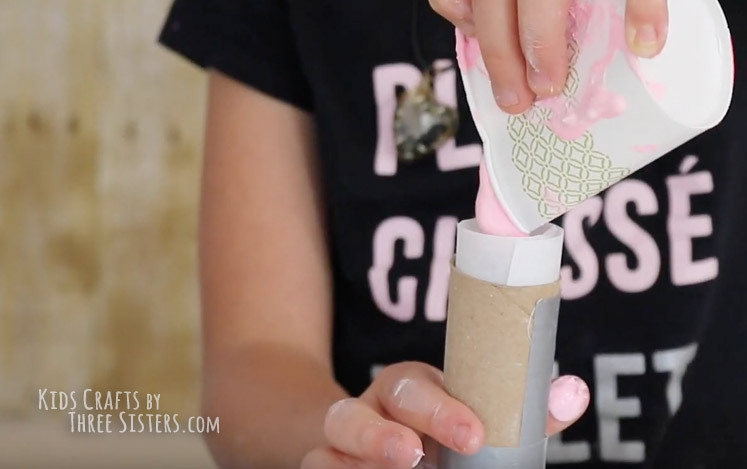 We'll show you how to make sidewalk chalk using silicone molds (flower chalk), paper cups (popsicle chalk) & toilet paper rolls (chunky chalk for small hands). 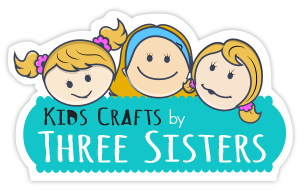 This makes it a perfect DIY spring or summer craft for teacher's gifts, party favors, friends or girl scout troupes. 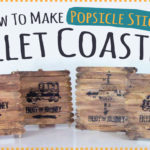 For more summer craft ideas, click here. Best of all this recipe calls for ONLY three ingredients. 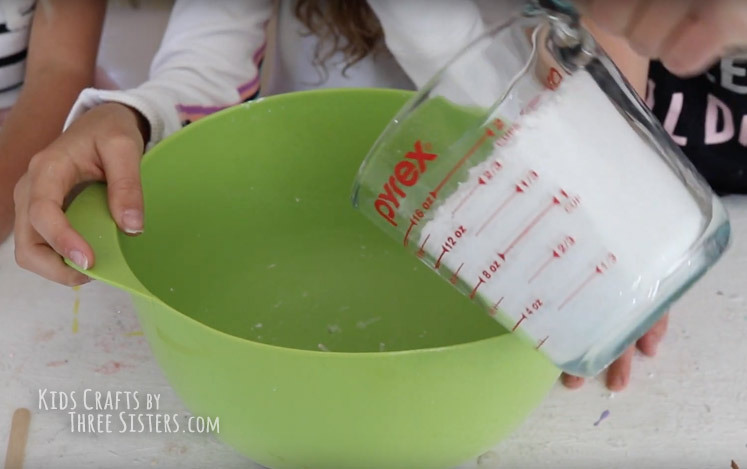 Since the main item is plaster of paris, you'll have a tub that will last a long time. 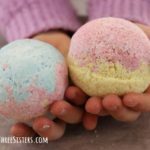 Homemade sidewalk chalk can be in all different colors from light pink to vivid blue. The chalk is bright and colorful enough to be seen from down the street. 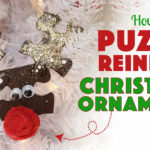 When you make this summer craft, your house will be the talk of the block. 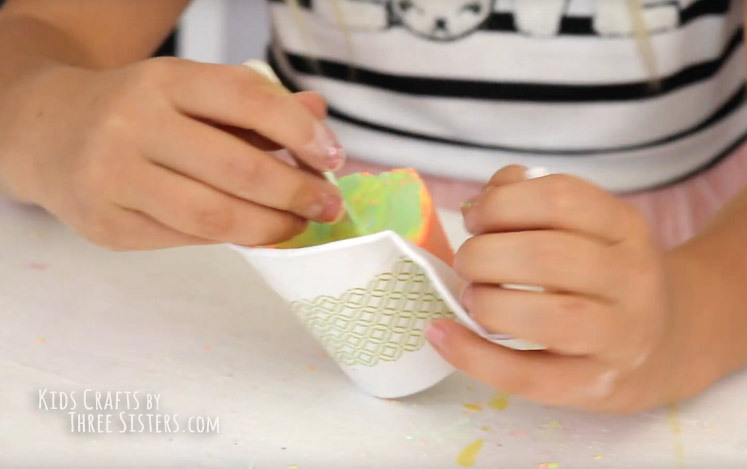 1) Mix the plaster in a bowl you don't care about a lot or can toss away. The plaster of paris dries quickly making it hard to scrub out. 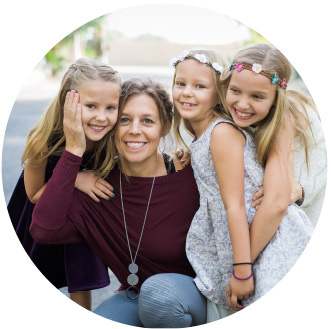 2) Make sure you have a parent around to help. 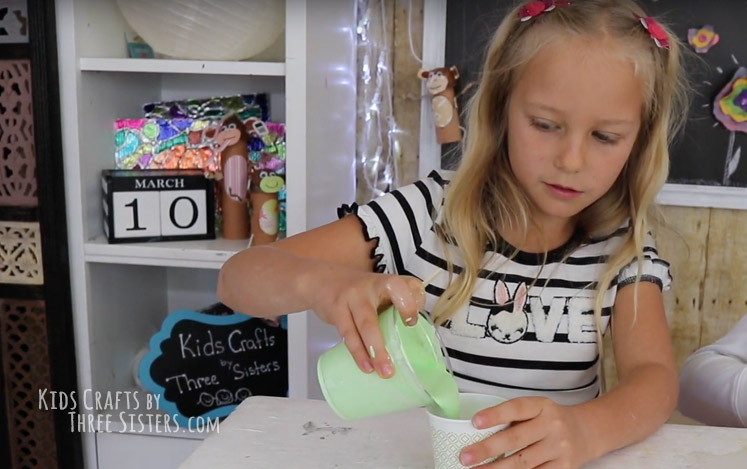 If working with children, pour the plaster of paris into the bowel in small amounts to prevent plaster dust from being inhaled. 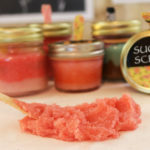 3) If you want several different colors do them in small batches. 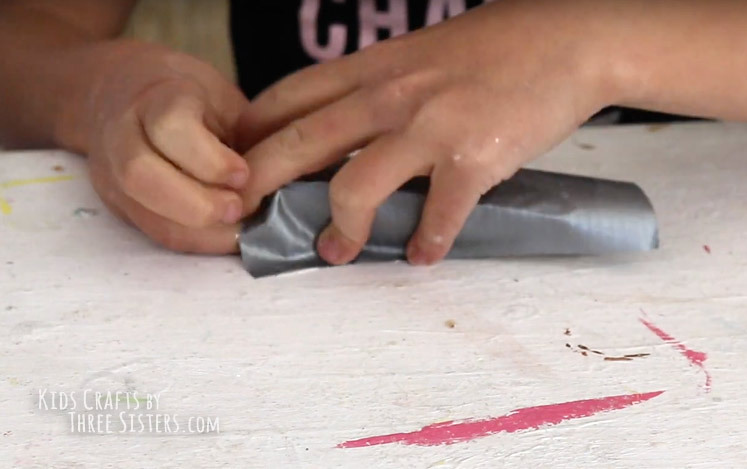 The plaster dries quickly. 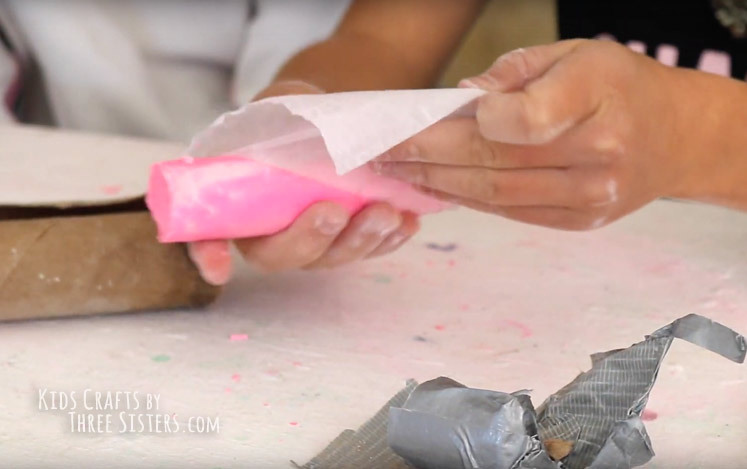 STEP 1: Gather or make your molds before starting the batter process. 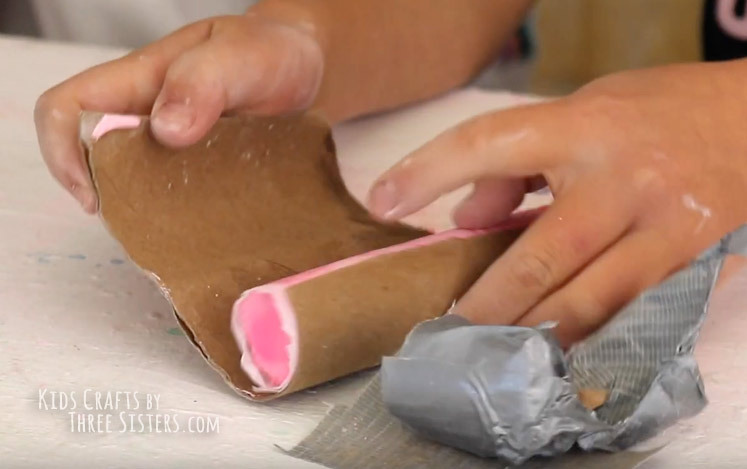 NOTE: If you're making sidewalk chalk molds from toilet paper rolls follow the first five steps. 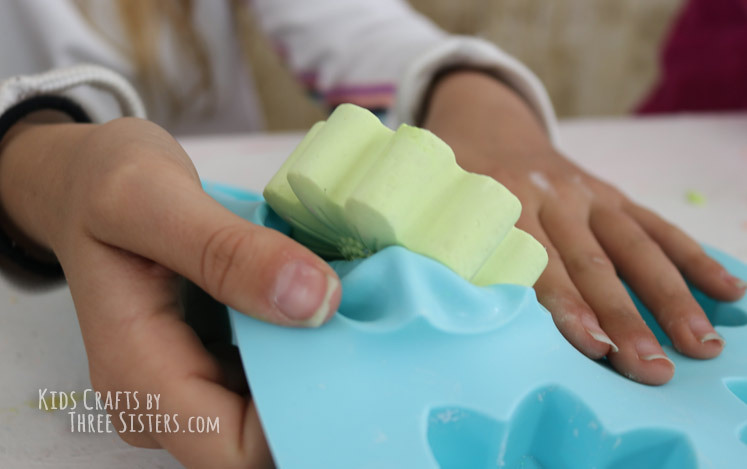 If you're using silicone molds or paper cups for DIY sidewalk chalk, then move to Step 6. 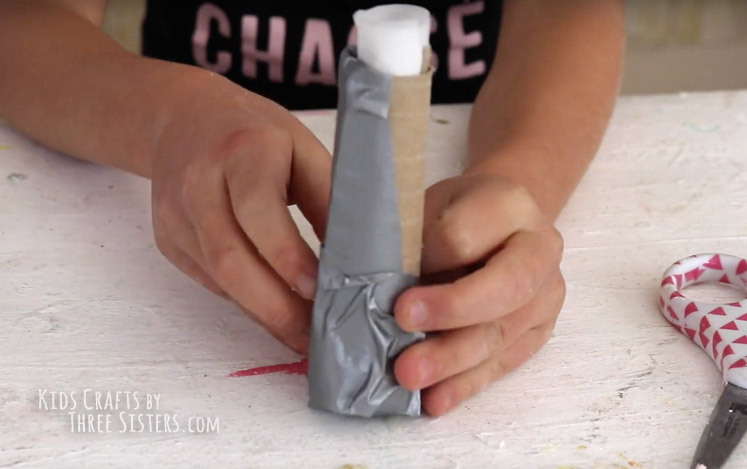 STEP 2: Since we're making sidewalk chalk for kids we're going to adapt the diameter of the toilet paper roll. 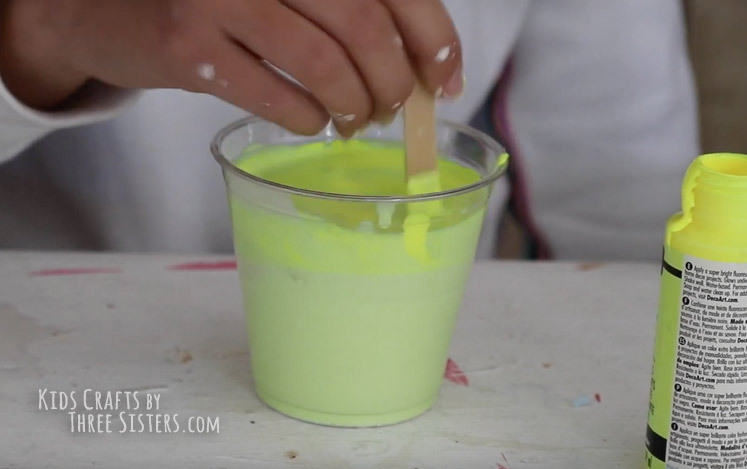 This will make it easier for children to grasp the chalk while making beautiful works of art. 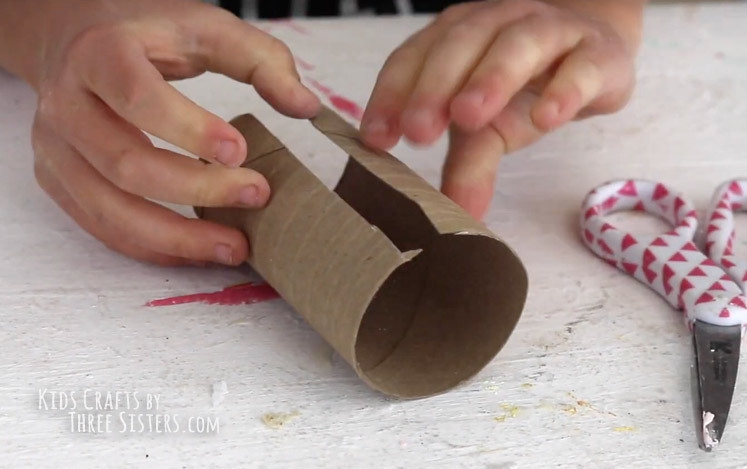 Begin by cutting the toilet paper roll up one side. 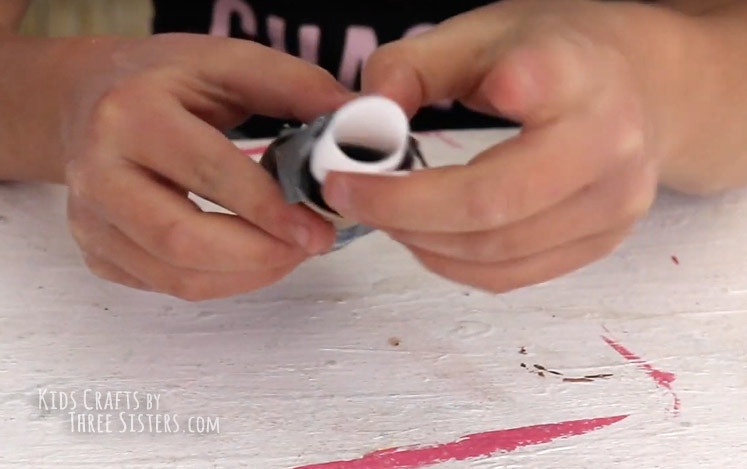 STEP 2: Roll the toilet paper roll to a smaller diameter then tape the seam with duct tape. STEP 3: Cut a little bit of parchment paper then tape it to one end of the paper roll. This will create the bottom of our mold and stop the chalk batter from spilling out the other end. 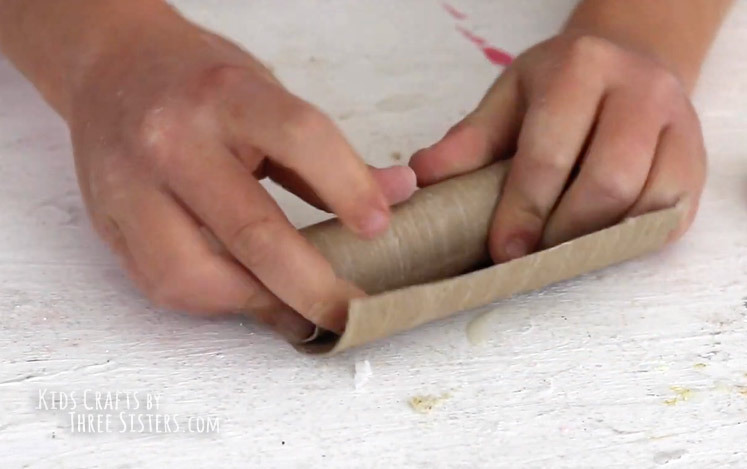 STEP 4: Take another piece of parchment paper that can be rolled up and tucked inside your paper roll. 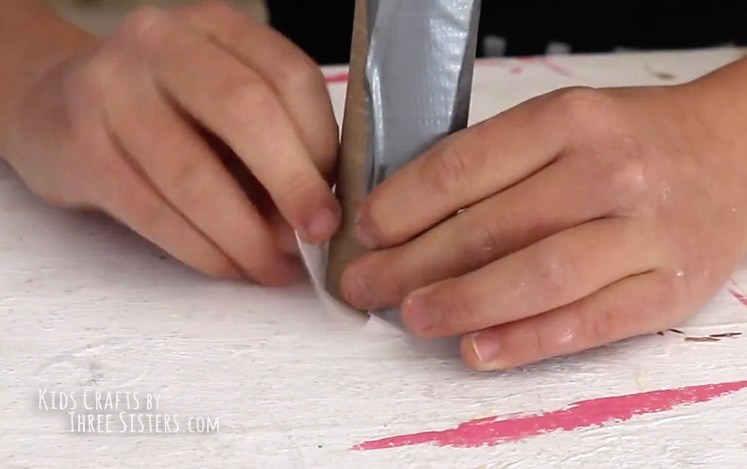 This creates a nice barrier between the chalk batter and the paper roll. STEP 5: Repeat the process to make as many chunk chalk molds necessary. 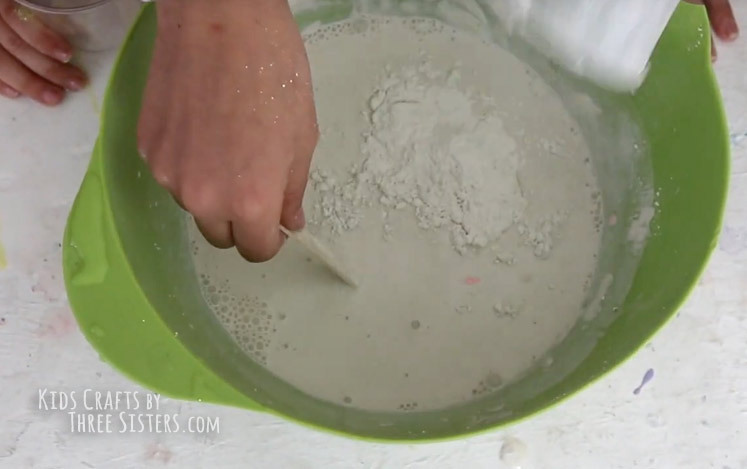 STEP 6: Put 2 cups of plaster of paris into a large bowl. STEP 7: Slowly pour 1- 1/2 cups of water into the bowl. STEP 8: Mixing time! 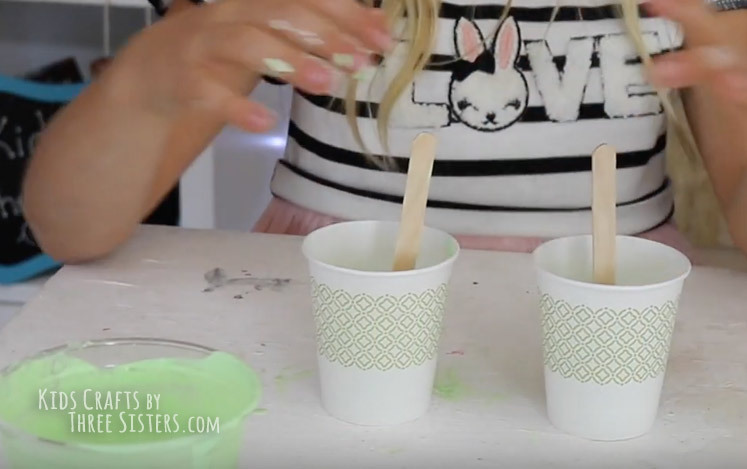 Begin stirring the batter with a popsicle stick to remove all the chunks. 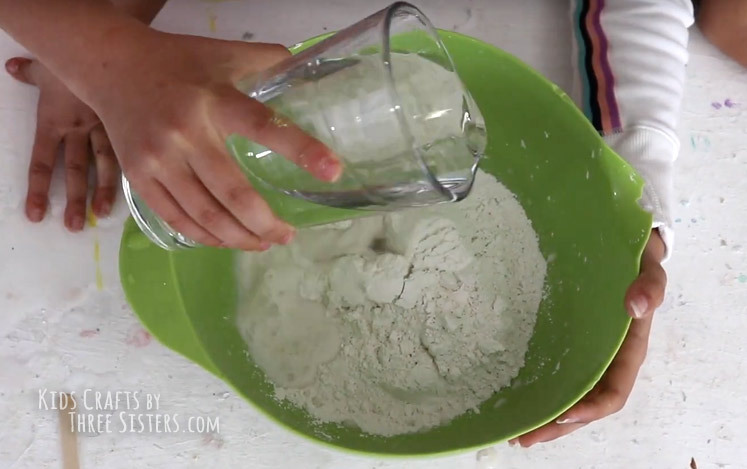 Your sidewalk chalk batter should be the consistency of pancake batter. 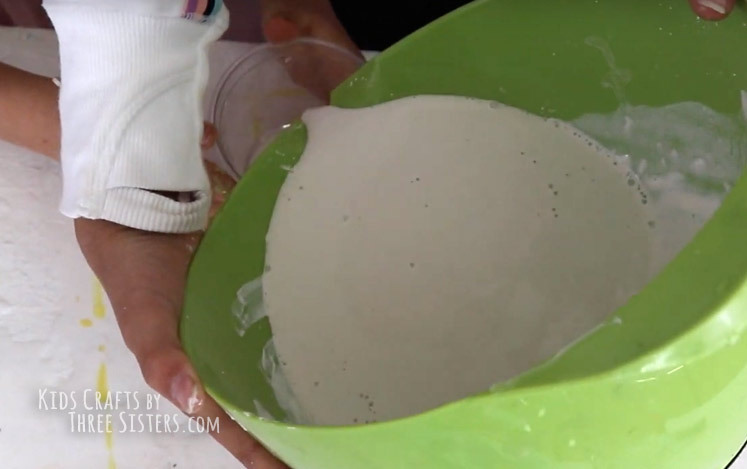 NOTE: If your mixture looks watery add more plaster of paris and continue mixing. STEP 9: Making different colors is easy at this point, just split the mixture into several cups. NOW THE FUN PART...MAKING COLORS! STEP 10: Add several drops of acrylic paint to the mixture and stir. 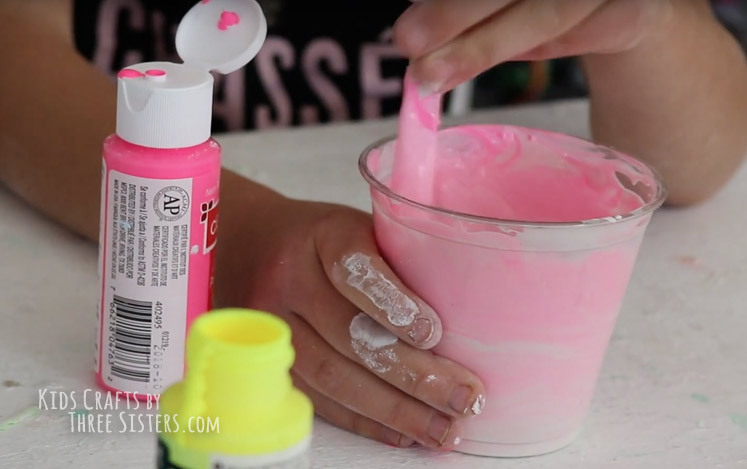 The more paint you add, the brighter your homemade sidewalk chalk. NOTE: Begin with a small amount of paint and keep an eye on the consistency. For whatever reason the yellow acrylic paint made our mixture watery. So we had to add a little more plaster of paris at this point. However; it ONLY happened with the yellow. 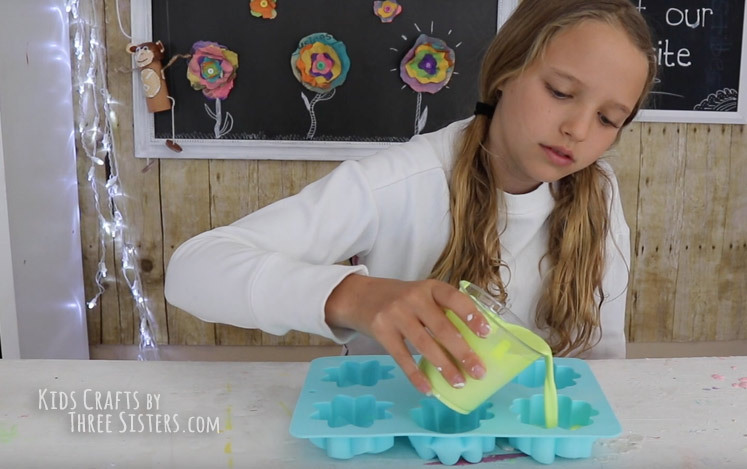 STEP 11: Pour the mixture into the molds and gently tap them on the table to ensure air bubbles are shook out of your sidewalk chalk (Demonstrated in the video). 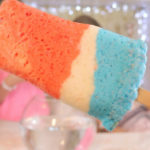 NOTE: For the flower silicone and paper cup (popsicle sidewalk chalk) molds, we poured the batter about halfway. Feel free to make them thicker or thinner, just remember that the more mixture used, the longer the drying times. 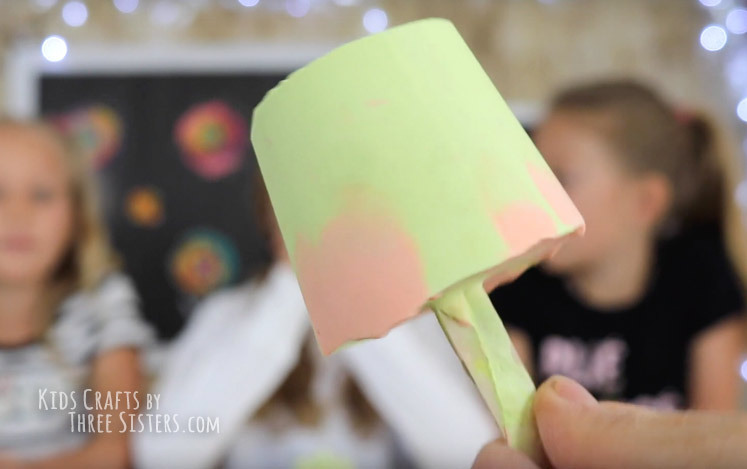 STEP 12: To make popsicle sidewalk chalk using the paper cup mold, add two popsicle sticks after pouring the batter then let the batter dry. We went about halfway up the cup. STEP 13: Remember, drying times will vary. Once they are solid, pop them out of the molds. If they still seem wet, leave them alone to dry. 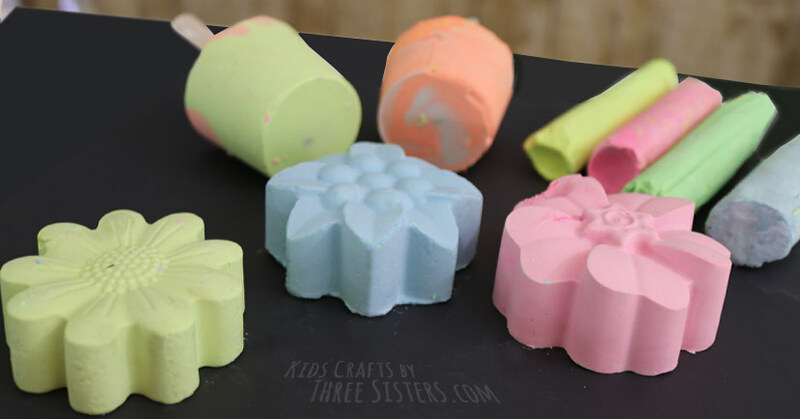 Flower Sidewalk Chalk: Silicone molds - 4 hours to dry. 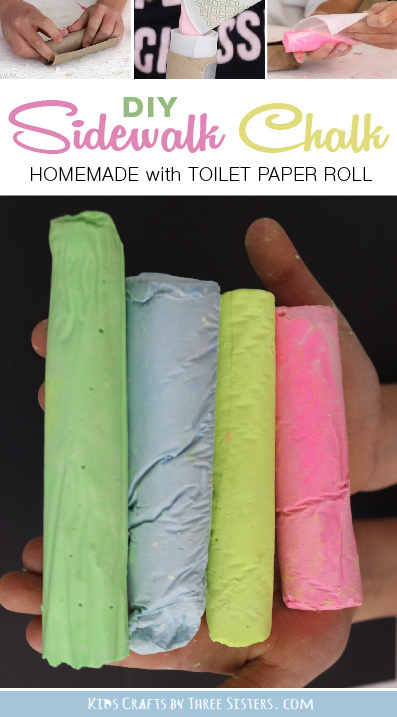 Chunky Homemade Sidewalk Chalk: Toilet paper roll molds - 4 hours to dry. 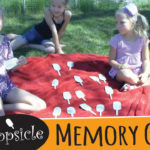 Popsicle Sidewalk Chalk: Paper cup molds, filled half way - 12-24 hours to dry. 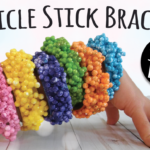 These would make amazing party favors, teacher's gifts or girl scout projects. STEP 14 : The final step is to try them out. 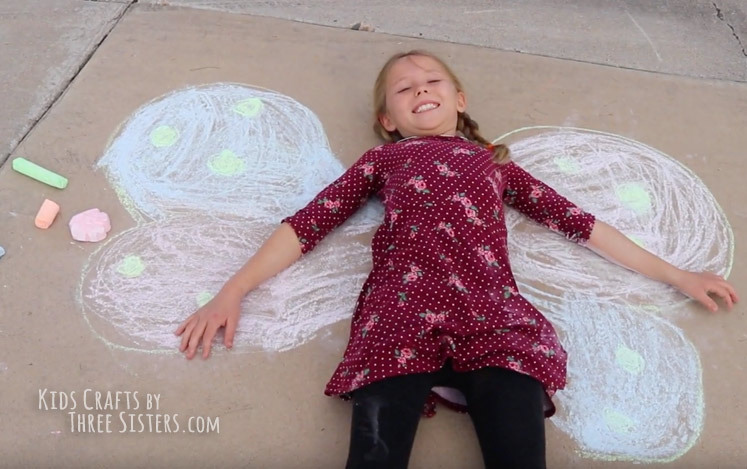 Challenge the kids to make sidewalk art and play with perspective. Our homemade sidewalk chalk is bright and colorful. 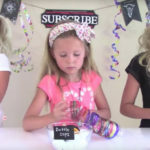 Riley drew a unicorn, Reese drew a butterfly, and Grace drew some balloons! Walla! 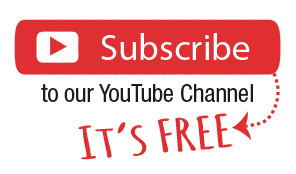 You have spring and summer fun for months. 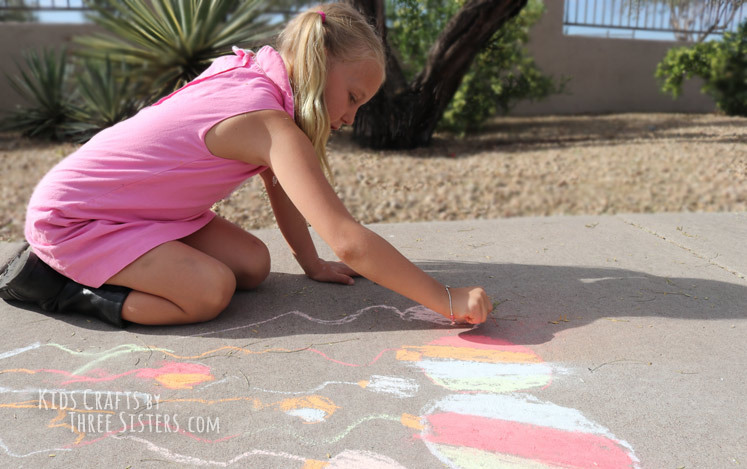 Give it a try and let us know how your sidewalk chalk turns out. 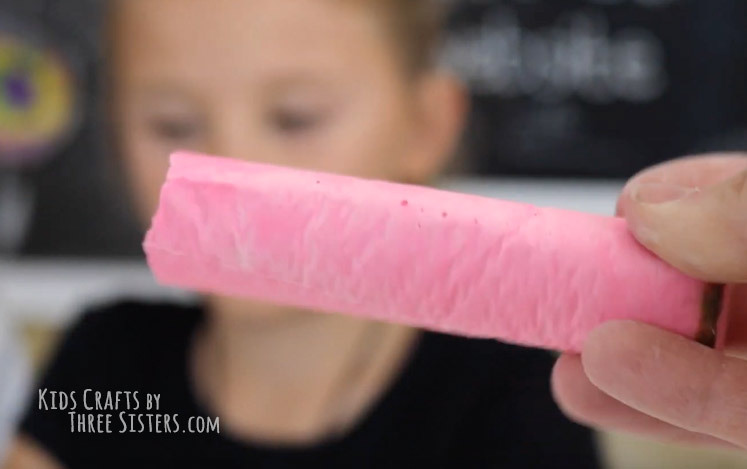 If you'd prefer to watch how we made ours, we made video tutorial for YouTube on HOW TO MAKE HOMEMADE SIDEWALK CHALK.